barbacco is thrilled to host a special evening on Thursday, August 18 with one of Tuscany’s greatest wine producers, Castello di Ama. 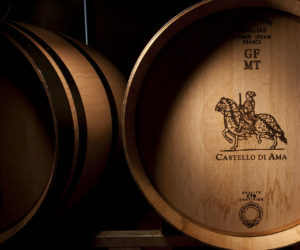 Five of their spectacular wines will be featured and International Ambassador Janice Verrecchia will be in the dining room for the evening to share more about what makes Castello di Ama one of the finest wineries in the world. Alongside the complete barbacco dinner menu, a special three-course food and wine pairing will be available for guests to enjoy. All wines and dishes will also be available a la carte. View the special Castello di Ama pairing menu below and reserve your table for the evening by calling: (415) 955-1919.